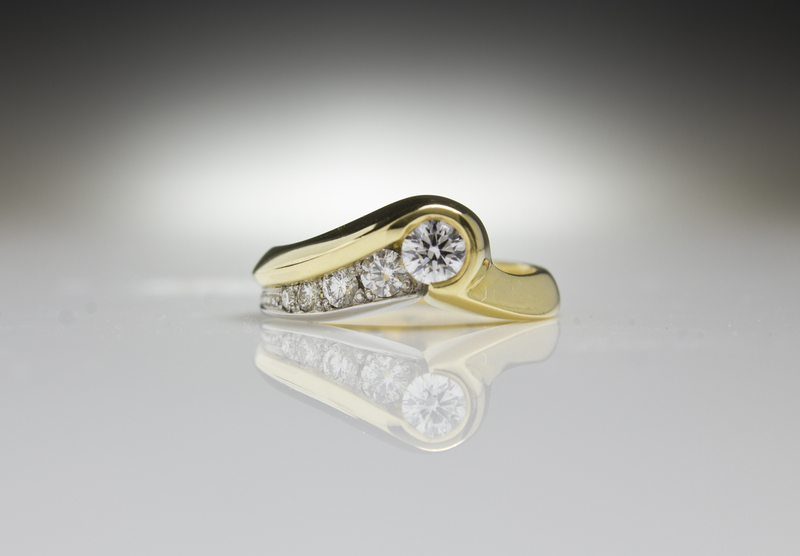 Sweeping across the top of this sculpted Shooting Star ring the leading brilliant cut diamond heads a tapering trail of diamonds set in a white gold channel. 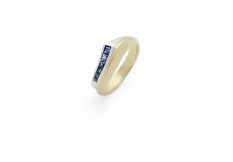 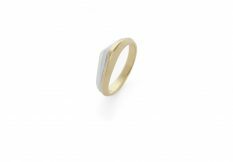 This ring can be worn alone as a bold, statement piece or nestled with either the matching sapphire Stripe Ring or the bi-coloured, plain band as a set. 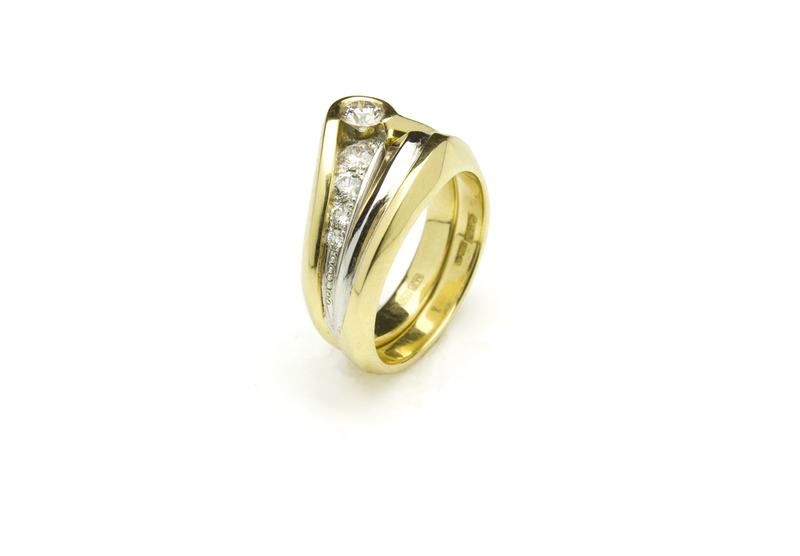 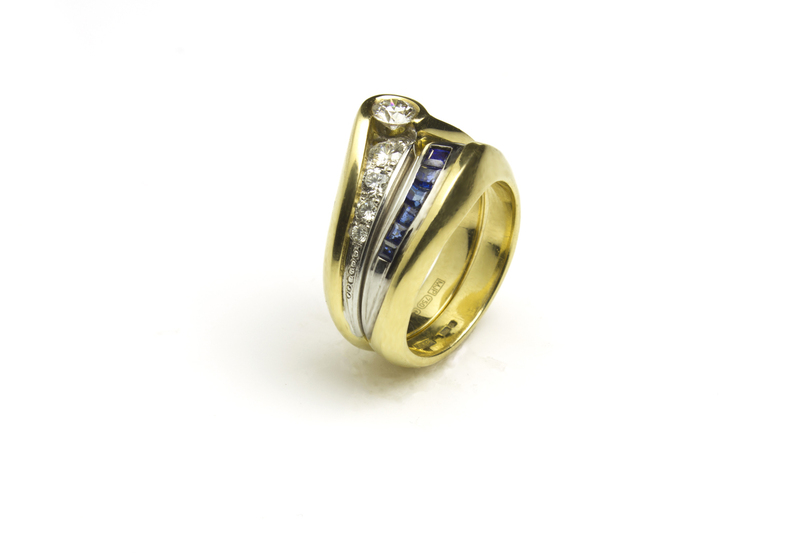 Shown here: 18ct yellow and white gold and diamond.